Calling all surfers! Enjoy an absolute beachfront holiday on the sand dunes of beautiful Blueys Beach with this air-conditioned, easy-care beachside accommodation, complete with panoramic ocean, and headland views. 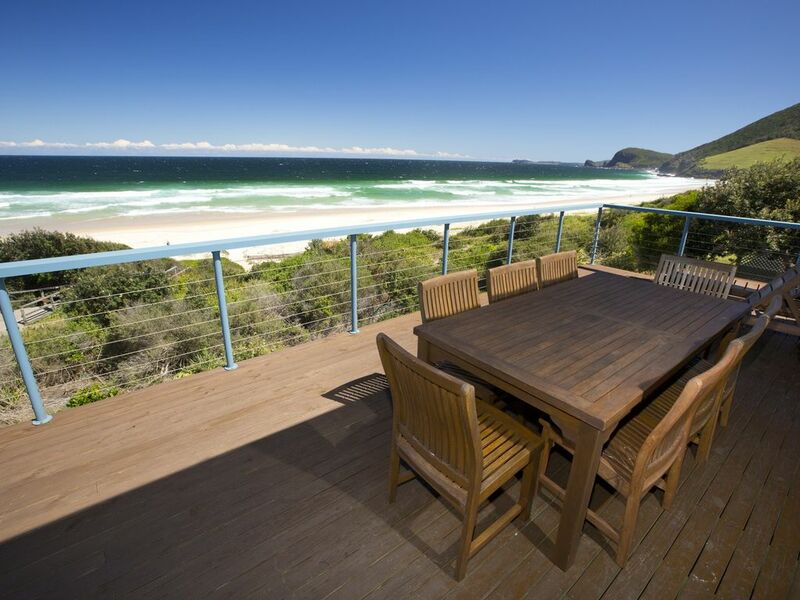 Located only 3 hours from Sydney, youll be glad you chose to stay at Weemilah! Imagine waking up to spectacular sunrises every day, and catching some of the best waves youll ever experience when you take on Blueys Beach, the much-loved favourite surf spot for locals. This character filled holiday home, complete with exposed beams and light and bright open plan living offers attractive beach side entertaining and relaxation, with its large, child-friendly deck, stunning ocean and headland views, as well as lush, landscaped gardens and lawn. Whats more, its also only a short stroll to local shops and cafes. Laundry: Downstairs with top loading washer, dryer, shower and toilet.